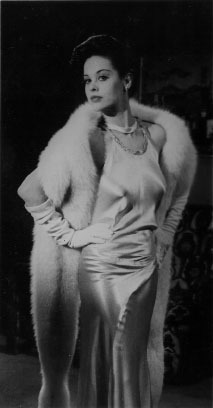 Lisa Brown originated the role of quirky Nola Reardon in 1980. She stayed with the show until 1985, then left and would not return until 1995. The middle Reardon sister, Nola was the one who resented being raised in a poor family. Her mother Bea ran the boarding house and later helped Tony with Company, but Iva had her sites set on bigger, more exciting things. She fell in love with handsome Quinton Chamberlain, the half-brother of Vanessa Chamberlain. 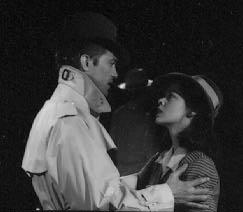 Quint and Nola were and still are a favorite couple, even though they are currently divorced. After their break-up Nola came home to Springfield with her college-age son Anthony "J" Chamberlain in tow. Nola started off working for Quint as his live-in assistant. At first he thought she was pretty flaky and she thought he was weird, but as they had many adventures together they fell in love. Nola was a favorite of many GL fans because she often indulged in elaborate families involving the residents of Springfield. 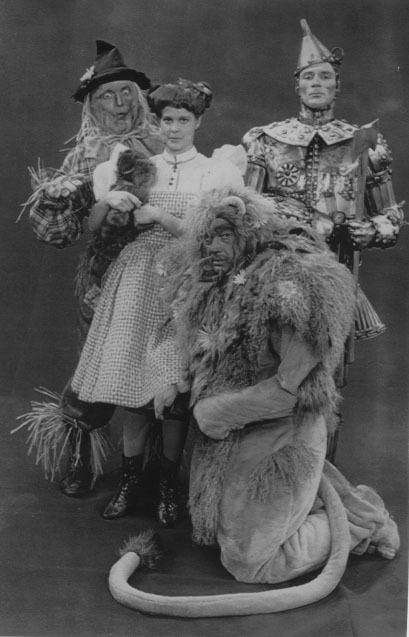 One involved The Wizard of Oz, while another was a nautical musical. Most recently she had a 40s-gumshoe type fantasy involving Buzz and her stalking him. Which brings me to the stupidest storyline on Guiding Light since Roger's infamous gaslighting. Nola met Buzz and they became friends right away. After all, they are the same type of person. So it's not surprising that Nola would develop a crush on him, who wouldn't? One day in his exuberance over something he laid a big kiss on her, and she, what with her overactive imagination and all, took it to heart. Lonely because Quint had left her (again), she started fantasizing about Buzz, sent him flowers, cookies, broke into the firehouse to steal a picture (framing it and then bringing it back), and other assorted shenanigans. When she nearly got caught inside the firehouse, she begin to feel so foolish and guilty that she went to the Bauer cabin to think. Buzz figured out it was Nola stalking him and followed her up there to confront her. It took him about five minutes to forgive her (that's just the kind of guy Buzz is), and then he promptly fell down a flight of stairs and lost his memory. The amnesiac Buzz feels a special closeness with Nola, and for awhile she held over Jenna's head that the baby Jenna is carrying isn't really Buzz's. Buzz knows now, however, and he's agreed to raise the baby as his own anyway. Personally, I prefer to remember Nola the way she was -- the feisty girl who had an extravagent Southern Belle wedding and was whisked away in a hot air balloon by her new husband Quint. They were a very romantic couple, honeymooning in Ireland and meeting an innkeeper that weaved a romantic tale about Nola and Quint's "ancestors". 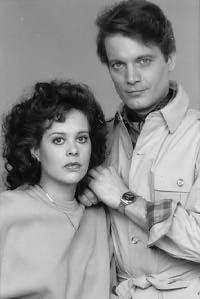 They were truly a soap Supercouple. Aside from stalking Buzz and trying to steal him from Jenna, Nola runs Company and the boarding . She used to talk to her son J sometimes, but he has recently left Springfield for a job in California. Nola has ex-sister-in-law Vanessa and her nephew Matt Reardon in town, as well as her niece (sort of) Michelle Bauer, raised by Nola's sister Maureen as though she was really Maureen's daughter. Still, she is the last of the Reardon women in town so I love her!